the Pan American Health Organization (PAHO), recently alerted health departments around the Caribbean to be on the lookout for measles and rubella as a precaution & the Public Health Department of the Cayman Islands issued an alert to be aware of the presence of measles at a time where the US is having outbreaks registered in nineteen States, namely Arizona, California, Colorado, Connecticut, Florida, Georgia, Illinois, Indiana, Kentucky, Massachusetts, Michigan, Missouri, Nevada, New Hampshire, New Jersey, New York, Oregon, Texas, and Washington. Based on PAHO, symptoms of measles are usually rash, high fever, sore throat, respiratory infection and cough, since some Caribbean countries are still experiencing cases of dengue fever that is a bit similar to measles, PAHO has advised that all cases presenting with fever and rash should be tested for measles and rubella. 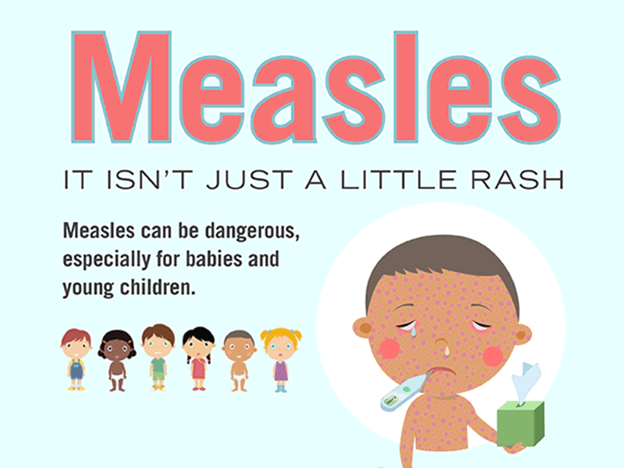 People of the Caribbean and specifically in Curacao should be aware that Measles is a highly contagious viral disease and one of the leading causes of death among young children, it is transmitted via droplets from the nose, mouth or throat of infected people by coughing, sneezing and breathing. Also, there is an alarming fact for those born between 1957 and 1989, they may not be fully protected from the outbreaks, those between 30 to early 60-year-old could also be at risk of contracting the virus because they may have only gotten one dose of the MMR vaccine, in 1989 the Centers for Disease Control and Prevention changed its recommendations by asking people to get two shots rather than just one because of those who've been vaccinated against measles but haven't received the second dose may not have enough measles antibodies to protect them, it is advised to ask your doctor how many vaccines for measles you had, prevention is a must in these cases, the incubation of the virus from the moment it is transmitted takes from 10 to 12 days till symptoms start to show, therefore a person cannot know instantly that he or she has the virus and for those who are not vaccinated and have vitamin A deficiency which makes symptoms more severe are more susceptible to develop measles and transmit it to other countries if they are traveling, in the past decades measles was almost completely eliminated with the presence of vaccines, but it did make a come back when a critical number of parents have chosen not to vaccinate their children, For some people, measles can present much more than just a fever and a rash causing serious health problems and there is no treatment so people be aware.